We perceive the world through our senses. We react to our environment accordingly to what we feel. The idea of becoming deaf or blind is not attractive, but we would like to possibility of getting superpowers like x-ray vision or sharp hearing. The purpose of the Internet of Things (IOT) is to give us these superpowers, to allow us to hear and to see within our homes when we are not there, for example. In the case of the Industrial Internet of Things (IIOT), the idea is to extend our senses into the factory. We need to be aware of too many things, and this is a problem. How is it possible to track the behavior of so many variables coming from a multitude of sensors connected to so many different sources? Let’s examine a way to get extra help in our works with software design to gain superpowers. 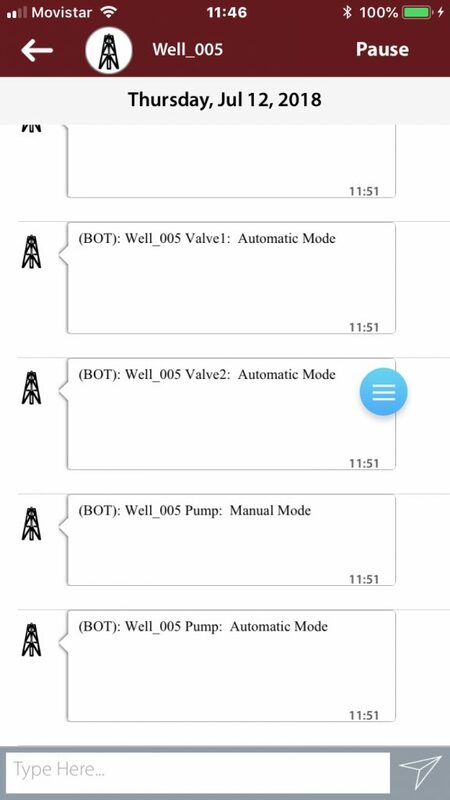 BackStaff helps as an IIOT tool by creating machines or systems as contacts. In a similar way to any other human contact, but instead of informing the device connection status, it tells about its production state. 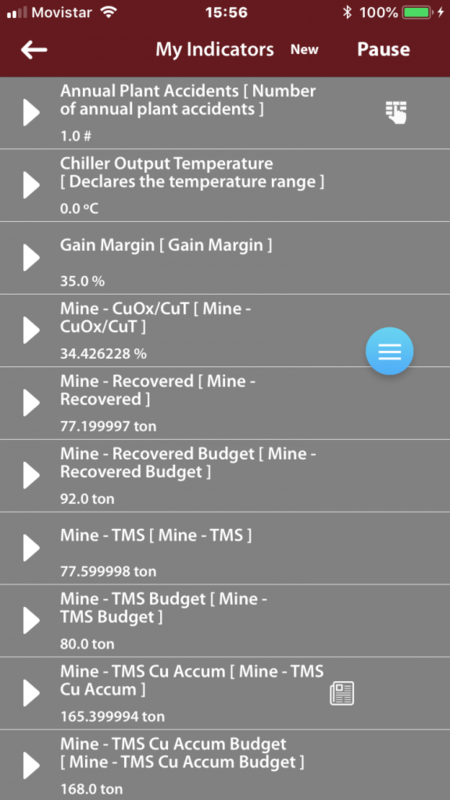 This feature allows the users to see the most important variables of a system in a blink from far away. BackStaff core is composed of an application that can read information from any PLC or DCS with OPC communication, as well as any relational database or web service. This feature permits to create a directory of variables. Then the end users access this directory from Android, iOS or WEB apps. The information is organized in such a way, that the end user position in the organization’s hierarchy filters what she is permitted to access. From the this filtered list, the user selects the information she wants to follow through a subscription process. Once subscribed, the user can organize the variables into lists, that’s what we call scorecards. 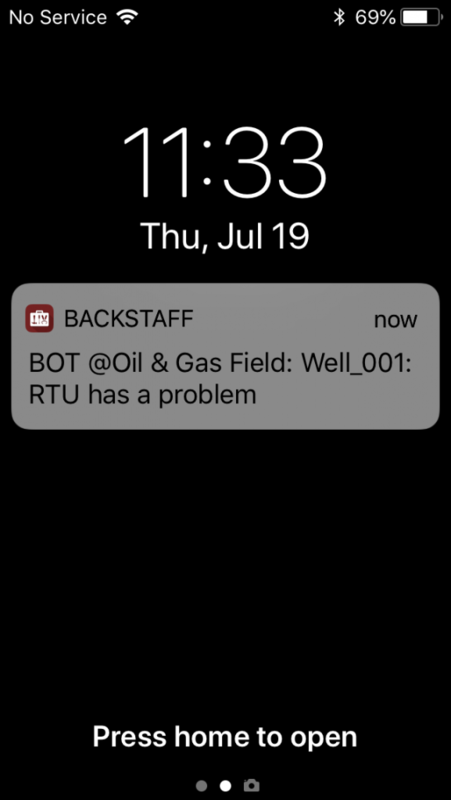 If something goes wrong, BackStaff helps through its notification system. Any time a variable is out of its regular status, the software sends a message informing about the situation. Notifications are not only for unusual things; you can get a notification about good ones, like when the plant reaches a production goal. 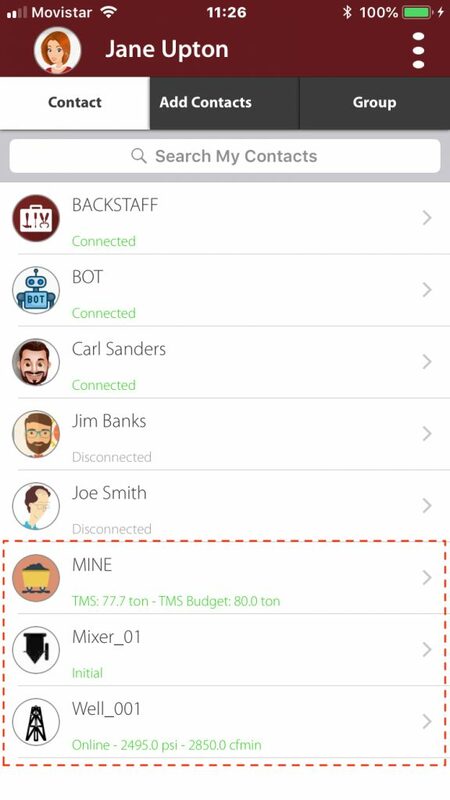 The BackStaff apps have an instant messaging system (IMS) module, whose purpose is to let the users communicate among themselves. But in the case of the devices, it is transformed into a journal that the machines fill automatically, as well as by messages written by people with comments about the device operation. BackStaff offers many tools that can help the industry to share useful information. This information is currently in very specialized computers and software, but it can be in your pocket with little effort.